If you just cannot decide what color to wear, the Helena Canvas Dress has you covered. 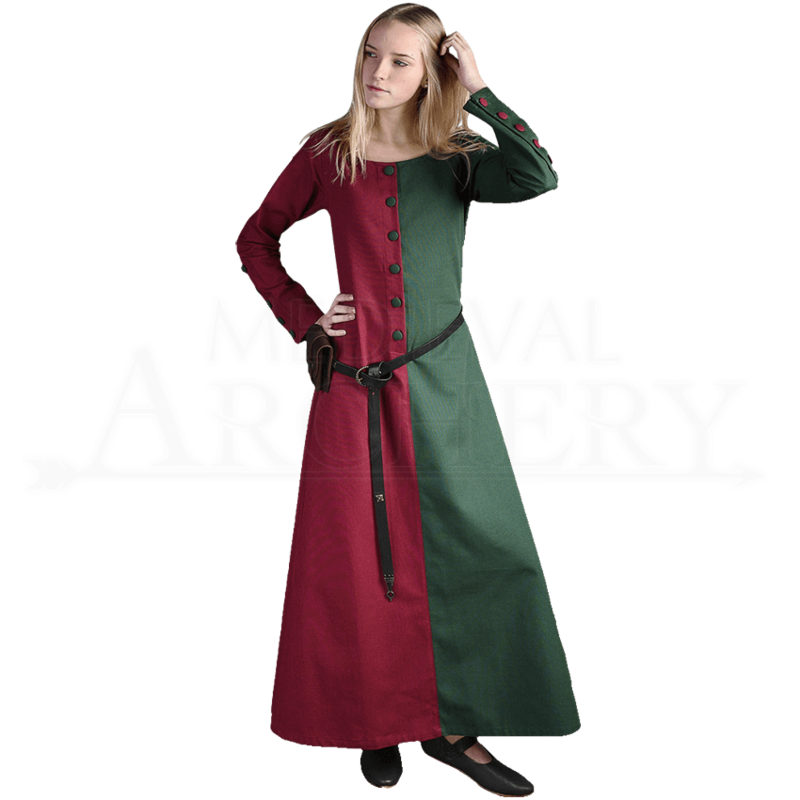 This medieval gown vertically displays two festive colors, ensuring an eye-catching look at your next reenactment event or Renaissance festival. This long sleeve, full length dress is fitted until the waist, then gradually widens out into an A-line shape. A row of fabric-covered buttons down the front of the bodice fastens the peasant dress, and matching buttons adorn the straight sleeves from elbow to cuff. 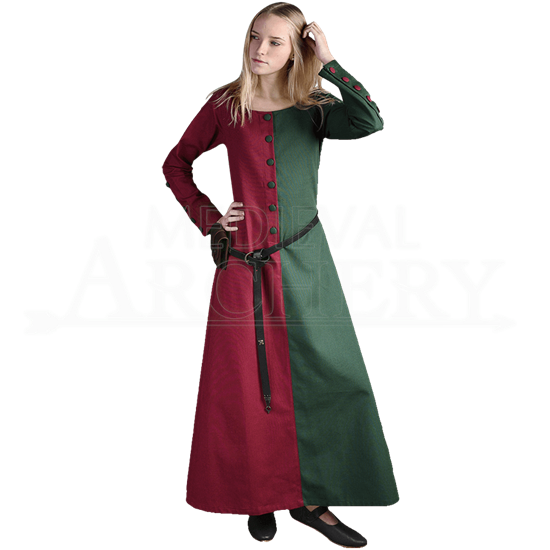 A versatile gown for medieval and fantasy settings, this two color medieval dress makes a bold statement without a complicated or heavily embellished design. Accessorize with your favorite leather belt and pouch, and you are ready to show off your true colors at your next medieval, Renaissance, or LARP event.